DeSign™ is an interior/exterior product that features straight, clean lines and is classic in approach with exceptional modularity. The DeSign™ wayfinding frame system is suitable for a variety of architectural signage applications and works cohesively with ClearPath’s other wayfinding product families, ensuring a consistent visual appeal for your project DeSign’s™ face and insert profiles can be framed using a wide range of aluminium frame edges or synthetic end caps. 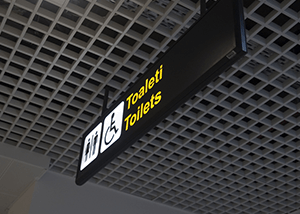 The Alliance™ way finding frame system offers designers & architects a sleek and contemporary sign system for both interior and exterior use. Alliance™ is perfect for wall signs, door signs and small to medium sized directories in every environment, from small offices to large medical facilities. 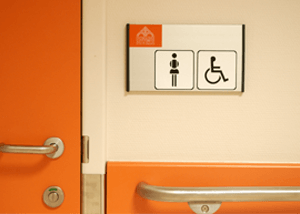 DeSign™ profiles work seamlessly with Alliance™ end caps to create a modular and adaptable sign system for every need. 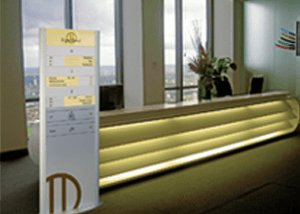 The Totem Multifunctional™ system is a modular directory system with elliptical aluminium posts specially designed to accept DeSign™ flat & insert profiles, as well as curved JazZ™ profiles. Three standard widths are available, but individual bases can also be used to create a width that perfectly meets your project’s needs. 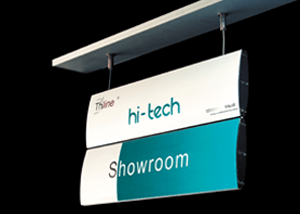 Hi-Tech™ way finding frames are a dynamic curved modular sign system with a popular, contemporary look. The Hi-Tech™ system features three edge treatments: round, square and ellipse, as well as a flat option. Hi-Tech™ frames can be finished with synthetic end caps or completed as an all- aluminium look when used with the slim edge directory profiles. Slim edge directory profiles can also be used with DeSign™ profiles to create another completely aluminium option. 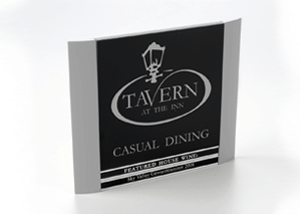 The Splendid™ product line is an inventive, slim and decorative system offering a nearly unlimited scale of interior signs. Integrate a light source to provide extra attention with an extraordinarily slim light box for indoor use that will provide clarity atmospheric illumination.